Read any good books lately? Itching to talk about them? Go on then! We'd love you to come along and cosy up with a glass of wine or hot chocolate, friends, and a book of your choice - in this book club there’s no specific book you have to pretend to have read; we’re thinking more relaxed, informal discussion with like-minded readers about book... related... stuff. Sound good? Good! 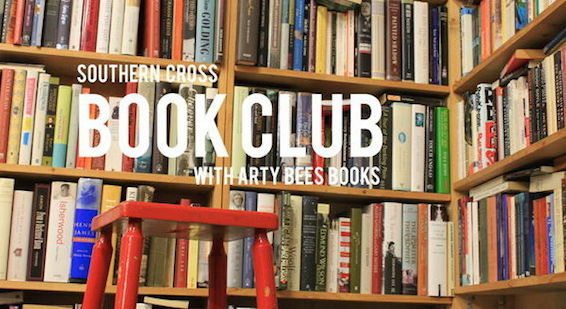 The Southern Cross Book Club exists with a little help from our friends at Arty Bees Books. We meet on the second Monday of every month at 6pm in the Lounge, first on the right as you arrive... and if you can read this, you may as well join us! Email aaron@artybees.co.nz for any queries. Urban rumour are a christchurch based covers band, they love to experiment with mashups and do a wide variety of songs from funk to rock and everything in between. If you're getting involved in Wellington's biggest running event Brendan Foot Supersite Round the Bays, you'll be needing to get yourself some good solid carb-loading done the day before. We're here to hook you up with the goods - we'll be offering registered RTB attendees big plates of pasta for the special price of $14 ($18 regular price). Just bring in your race bib to claim the deal! Pasta is available from 12pm, take away or eat in. DELIVERY available on UberEats & DeliverEasy from 2.30pm until sold out (use code PASTAPARTY for the RTB discount). Combo up to maximise the carbs with our Carb Load Combo - your choice of pasta with a garlic bread for the special price of $20 ($24 without race-bib discount). Come down get involved with the festivities before the big race day - we'll have live music kicking off from 4pm and lots of smoothie and fresh juice goodness on offer. We'll see you on race day too - we'll be waiting at the finish, dishing oodles of moral support, as well as free snacks, bean bags and plenty of toys & games to keep the younger fans entertained. Go team! "When you eat a bowl of spaghetti, most of the carbs are stored as glycogen in your muscles and liver. Glycogen is your body's most easily accessible form of energy, but it's not the only source. During a half or full marathon you burn both glycogen and fat. But the latter is not as efficient, which means your body has to work harder to convert it into fuel. Proper carbo-loading—or filling your muscles to the brim with glycogen—won't make you faster, but it will allow you to run your best and, if you race smartly, avoid the wall." 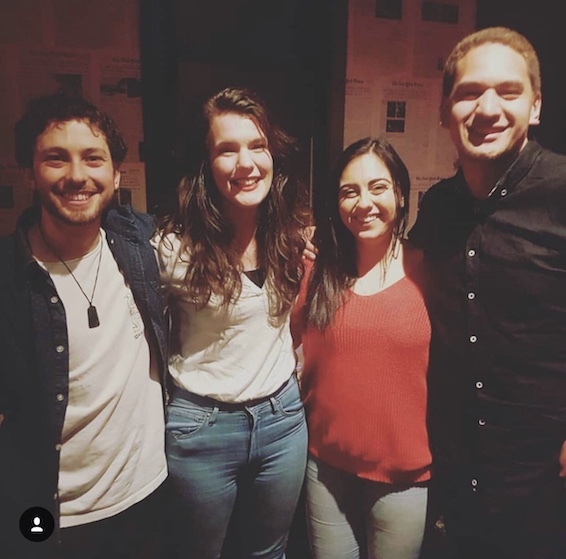 “JuztJazz”is a highly skilled and experienced jazz group comprising three graduates from the NZ School of Music with a Jazz Performance Degree. They have been together for more than 10 years, playing cool smooth jazz in a wide range of styles, spicing up standards with a modern groove. With great energy and enthusiasm, they can play quiet mellow background music or speed it up and get more funky. 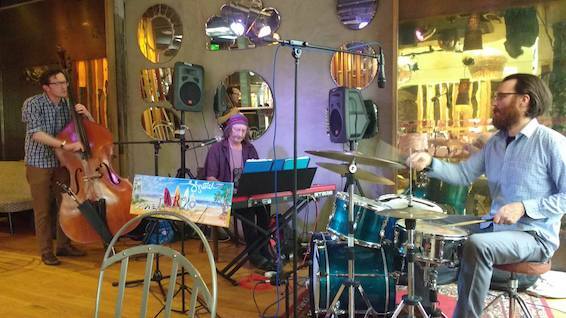 Wellington's own Jazz & Swing Band. Soak up the last of your weekend with the Recovery Sessions- hosting a series of live jazz and DJ's, every Sunday. With board games, BBQ and Sunday Roast to accompany sweet tunes, relax and enjoy your Sunday afternoon.